George Orwell, author of Nineteen Eighty-Four, Animal Farm, and many other works, is one of the most famous and celebrated authors of the 20th century. But what made Orwell such a powerful novelist wasn’t his ability to craft gripping prose or tell powerful stories — it was his ability to empathize with the characters he was writing about. George Orwell went to great lengths to see the world through the lens of the subjects he was interested in. That’s what made his stories so authentic and real. You may not be a novelist. 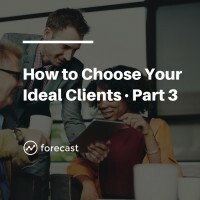 But you too can use the power of empathy to connect with your clients, understand what’s on their minds, and better serve their needs.